These are too Stinkin' Cute!!! I LOVE this tag! I love the idea of a smaller tag on the larger tag! Thanks for sharing! 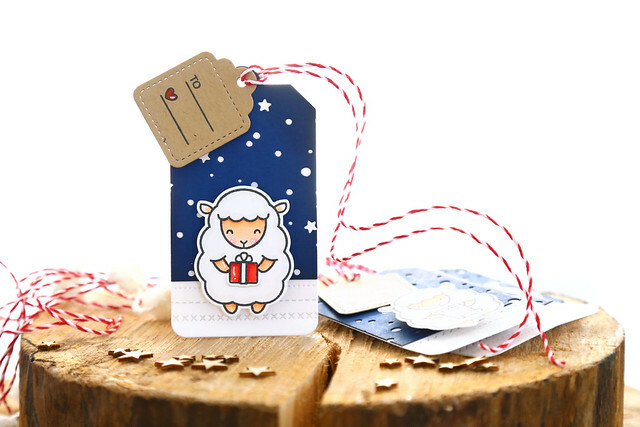 I love these tiny tags stamps!so cute! I like the rich, blue background. I don't like Christmas paper and tags just to be the boring red and green. Give me some more colors! Good job! 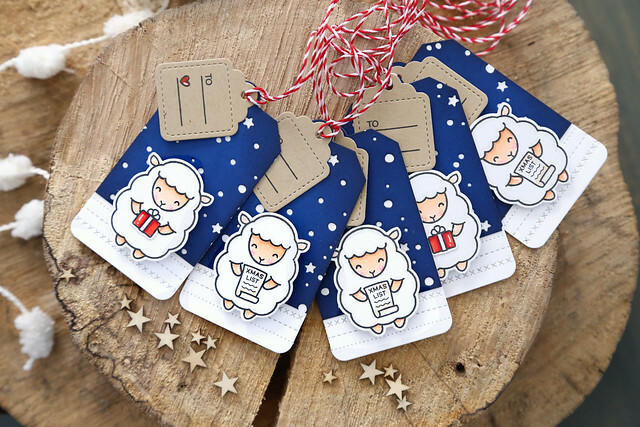 Would love to count sheep with you gorgeous tags!! Love the bold blue background and all the details of each sheep and what they are holding!! Love your work!